Explore the paths along the blue Danube River just like the Romans, the legendary Nibelungs, and even Europe’s powerful kings and emperors did before you. You will get to know the beauty and historical significance of this ancient military and trading route. Never far away from the cool, clear water of the Danube, you will enjoy one of Europe’s most beautiful and popular cycle routes. You can either start your trip in the baroque town of Schärding or Passau, the town of three rivers. 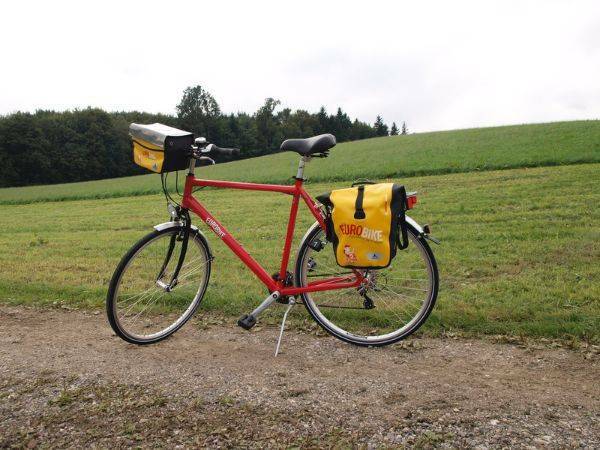 You will cycle through various districts of Upper and Lower Austria and finally to the Danube metropolis of Vienna. Stroll through the pretty little baroque town of Schärding and marvel at the famous Silberzeile lane, or take a walk through the “New Centre” of Passau, the town of three rivers, which has been completely redesigned as a pedestrian, car-free area. Along the river Inn you will come to Passau, the town of three rivers. We recommend that you take a guided tour of the town, and visit the cathedral where you can enjoy the sounds of the largest church organ in the world (except Sundays and public holidays). Then you will continue along the Danube, first passing Obernzell and finally arriving in Engelhartszell (the only Trappist monastery in Austria). 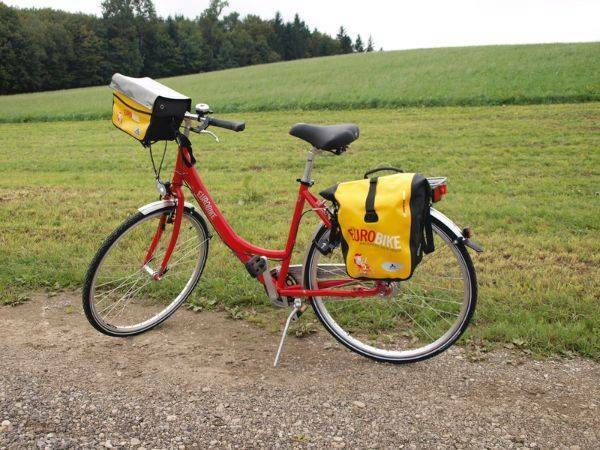 You will then cycle through the nature reserve Donauleiten, from where you will reach the Schlögen Bend to the north. This is where granite proved to be too much of an opponent and forced the Danube to change directions by 180 degrees. While a ferry takes you to the other side of the river to your hotel you have time to look at this natural phenomenon. Today you will cycle through the green Eferdinger basin via the market towns of Aschach, Ottensheim and Wilhering and all the way to the Upper Austrian capital of Linz. The historical Old Town of Linz has many pubs and eateries for you to discover. Other highlights of the European Capital of Culture 2009 include the magnificent views from Pöstlingberg mountain and a stroll through the Donaulände park. On the fourth day you will take a little detour away from the course of the Danube to St. Florian (Augustinian monastery) and to Enns. In Enns you can go to the town square with its 60 metre town tower, the landmark of the oldest town in Austria, or you visit the archaeological collection in the municipal museum Lauriacum. Afterwards, you will return to the river, first reaching the beautiful little baroque town of Grein. Here you have the opportunity to visit the oldest municipal theatre in Austria that is still being used. Or you can visit the maritime museum or Greinburg castle. This section of the Danube, the Strudengau, was once feared by sailors, now you can cycle along it. Where they used to fight against the Danube currents you can now take a leisurely cycle ride. In Maria Taferl, high above the Danube, you will find the magnificent pilgrimage church, which attracts thousands of pilgrims every year. You should make a little stop in Melk and look up or you will miss the beautiful Stift Melk monastery that overlooks the Danube. As soon as you leave the town you will get into the picturesque Wachau region, where you can enjoy the charming atmosphere of the region’s typical orchards and vineyards. You will pass through the little wine towns of Spitz and Weißenkirchen, cycle past the Dürnstein Castle ruin and finish your journey in the 1000-year old town of Krems or in Tulln. A stay in the Wachau region means that you simply have to take part in a wine tasting, which we have organised for you. The final kilometres of your bike tour will be a relaxed trip to the Danube metropolis of Vienna. According to the variant part of the stage is covered by train. As soon as you arrive you can occupy your room and then enjoy all the amenities of the city for the rest of the day. Treat yourself to a Viennese-style Americano coffee and a piece of the famous Sachertorte cake in one of Vienna’s typical coffee houses. Take a stroll along Vienna’s Parade shopping street, along Mariahilfer Strasse, visit the St Stephen’s Cathedral or see the main sights and take a trip in one of the famous Fiaker cabs. Danube Cycle Path (Passau to Vienna) from Freewheel Holidays on Vimeo. Cycle along the River Danube on flat or slightly descending, almost 100% on dedicated cycle paths without any motor traffic. Only very short sections are on quiet minor roads. Munich Franz-Josef Strauß www.munich-airport.de . By train to Passau, change trains once (Freising). Costs approx. € 50,- per person. Possibility for a transfer www.flughafentransfer.at/ Prices on request. By train to Passau, change trains once (Vienna main train station – Linz/Innsbruck – Passau). Costs approx. € 55,- per person. Approx 3.5 – 4 hours. 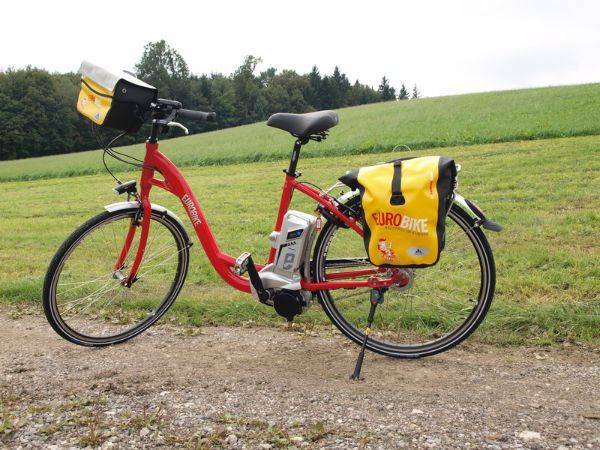 The Danube Cycle Path: Passau to Vienna cycling holiday includes the daily transfer of luggage to the next hotel and local support if required. For a stress-free start to your travel, arriving at the start point by early evening the day before is recommended. The individual return journey takes place on the last day of travel. For any costs incurred locally (children, local taxes, dogs etc. ), as well as excluded transport and services, please refer to the itinerary or the section “Services/Things to note”. If a minimum number of participants is necessary for the trip to take place, this is defined under “Arrival dates”. If the minimum number of participants is not reached, we reserve the right to cancel the tour by the time specified under the heading “Arrival dates” before the planned travel date. We recommend organising your arrival and departure only after this deadline has passed. The distance travelled is approximate and may differ from the actual distance. The language in which the listed services are provided, as far as this is relevant for the provision of services, can be found under the heading “Services”. If special passport or visa requirements are needed for EU citizens, this is indicated under “Arrival/Parking/Departure”. This trip is not suitable for people with reduced mobility. Travel cancellation insurance, including travel interruption insurance is recommended.